Infantino sole candidate for FIFA presidency in June vote - SABC News - Breaking news, special reports, world, business, sport coverage of all South African current events. Africa's news leader. Gianni Infantino has been in charge of FIFA since February 2016. 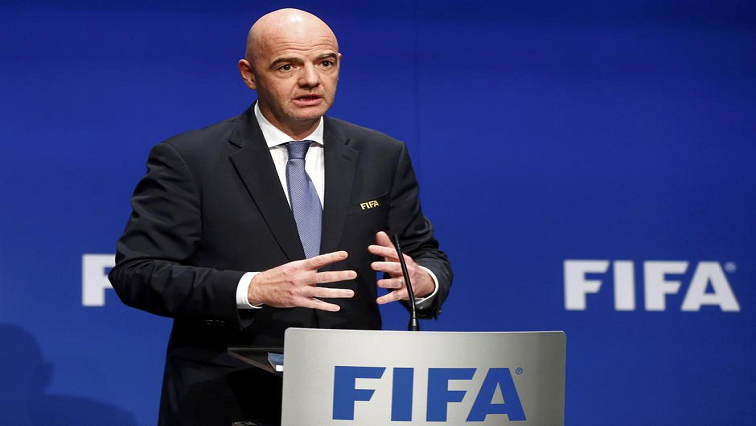 Infantino has introduced plans to increase the World Cup from 32 teams to 48 from 2026, with the possibility to bring forward the expansion to the 2022 edition in Qatar. A decision is expected to be taken next March after a study into the feasibility of holding an extended tournament in the Gulf state. Michel Platini’s former right-hand man at UEFA is also hoping for an enlarged, 24-team Club World Cup from 2021. UEFA president Aleksander Ceferin of Slovenia, who will be re-elected on Thursday also as the sole candidate, is opposed to the idea. This entry was posted on 06 Feb 2019,02:46PM at 2:46 PM and is filed under Sport, News, Homepage Latest Stories Slider. You can follow any responses to this entry through the RSS 2.0 feed. Both comments and pings are currently closed.